On Wednesday 12th September the Plymouth School Sports Partnership hosted our annual Primary PE Conference at Plymouth Marjon University. 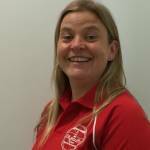 The keynote speech was delivered by Kate Thornton-Bousfield the Primary Lead from the Youth Sports Trust on 'Evidencing the impact of the PE and sport premium and making it sustainable'. A copy of the presentation is available in the resources section of the website.